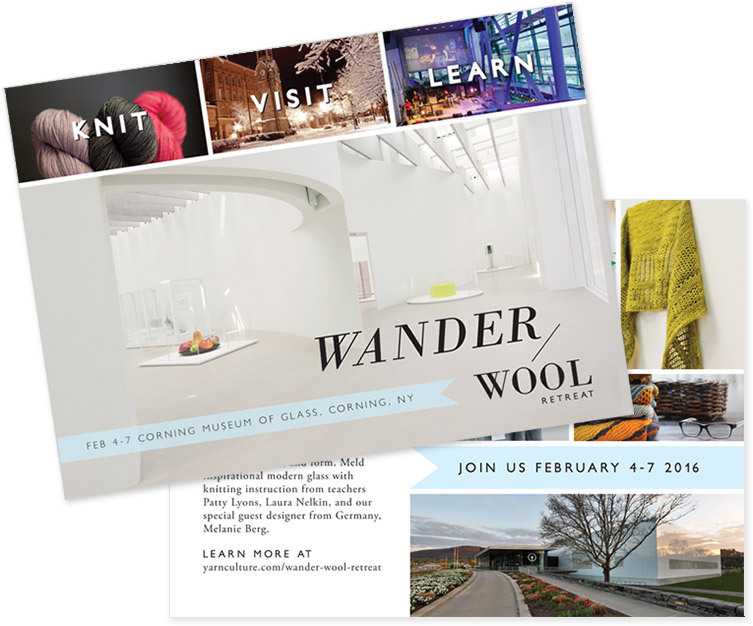 Our client Yarn Culture, a high-end yarn store in Fairport, N.Y., that specializes in unique and hard-to-find yarn, approached us about an upcoming retreat they were hosting at the Corning Museum of Glass, called “Wander / Wool”. Yarn Culture already understood the message they were trying to promote - that this was an amazing, multi-day opportunity for knitting enthusiasts to expand their horizons in the fiber arts - but they needed some assistance in defining who exactly was their potential attendee. Yarn Culture has a large list of past, present, and potential customers, but they needed to determine which of their fans would be the most responsive to the marketing for this retreat. This targeted, more qualified approach would require a bit more work upfront than just blasting the information to their entire customer base, but Yarn Culture understood there would be more potential for sign-ups by focusing on their most likely opportunities. A car insurance company may be offering the best rates in town for young drivers, but if their marketing is catered to teens (and not the teens’ parents, who often make these insurance purchasing decisions), the message will go unnoticed. It’s the same idea for every business, and every marketing campaign: for the best results, you should be targeting your marketing message to the most receptive audience. Specifically for Yarn Culture, we knew that we wanted to send an email campaign all about the Wander / Wool retreat to the most qualified customers. We began the work to define this target demographic by reviewing Yarn Culture’s website traffic data through Google Analytics. In conjunction with Yarn Culture, we identified products or information available on the Yarn Culture website that had a relevance to the designers, teachers, or knitting methods that would be featured at the Wander / Wool retreat. With those pages picked out, we evaluated the user flow of viewers that passed through these pages during their visit to the website (“user flow” is the virtual path a user takes as they navigate through a website - what page of your website they load first, each subsequent page they visit, how long they stay on each page, which page they’re on when they eventually close the website while viewing, etc). This information showed us which customers (based on their previous purchases) would most likely be interested in the Wander / Wool retreat - all specifically based on Yarn Culture’s customer data. We also selected previous customers that had shown consistent interest in new or previously-hard-to-find products, since the Wander / Wool retreat would feature unique fiber arts techniques and artists. We had already designed Yarn Culture’s informational brochure and takeaway postcard that highlighted the retreat, which they had given out in-store and at their trade show booths. We worked directly with photographers and the Corning Museum of Glass to incorporate attractive, high quality, inspiring photography and design elements that brought out the character of the retreat itself, while staying true to Yarn Culture’s overall brand aesthetic. 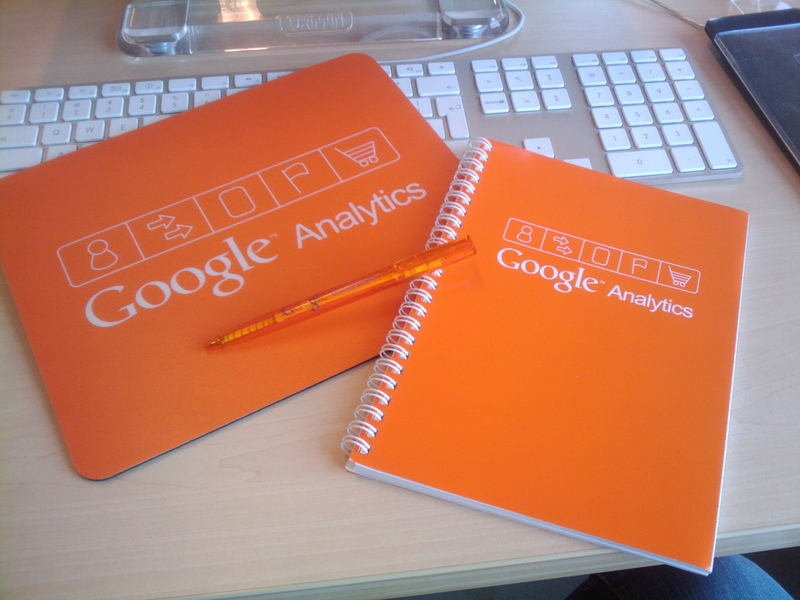 We also paid particular attention to the copywriting for these pieces. It was important that the voice, tone, and style appealed to the target demographics, using terminology they understood, that they associated with, and that would position Yarn Culture as an expert in their field. With the target demographics clearly defined (even down to the specific customers we wanted to reach out to), the overall aesthetic decided on, and the copywriting approach finalized, we moved into designing and developing an email marketing campaign that would support the other marketing efforts, and would send a direct call to action in to the inbox of their most qualified demographics. Our approach identified just over 1,000 individuals that we felt would be the most interested in learning about Yarn Culture’s Wander / Wool retreat. Within the first hour of sending the email campaign, more than 40% of recipients had opened it, while a week later, the campaign’s open rate topped at just over 70%. The click-through-rate, which is the percentage of people who opened the email and then clicked a link for more information, was just under 35%. Although email campaign results can vary wildly (based on industry, day of the week, time of day, season, etc), any campaign that sees an 18-23% open rate, or 2-5% click through rate, is considered a success. 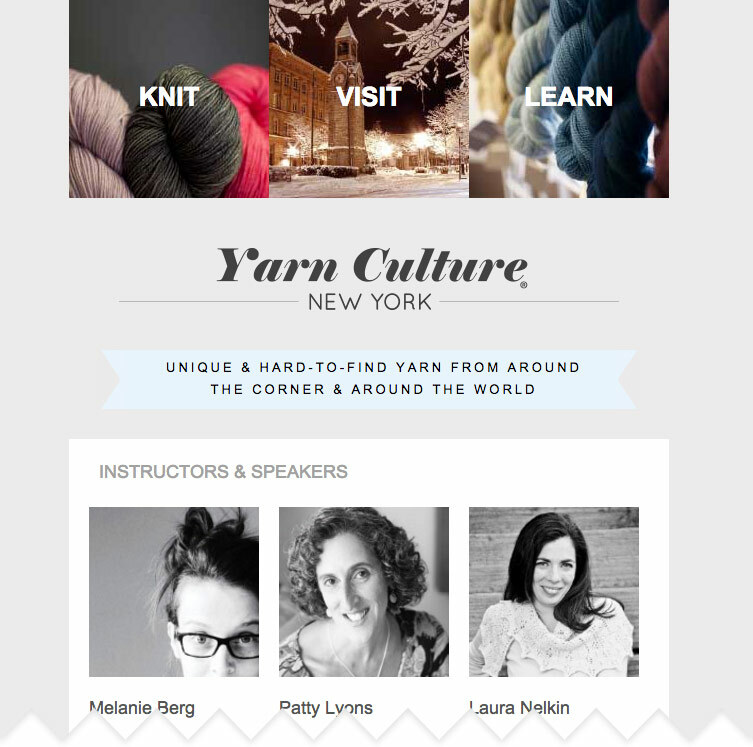 Comparatively, Yarn Culture’s Wander / Wool email campaign was a home run! Significant immediate open rate, with continued long tail. The importance of positioning the right message in front of the right demographics cannot be understated. Yarn Culture’s email was so effective because they utilized data they had available to make the best marketing decisions, and therefore maximizing their return on investment. Our work with Yarn Culture on this campaign, from Analytics analysis of their website traffic, to graphic design, copywriting, and development of their informational brochure, postcard, social media graphics, and email campaign, supported Yarn Culture’s overall brand and industry positioning, and delivered exceptional results.